Johnson County Clin-Trials (JCCT), a clinical research facility that specializes in executing 10-15 vaccine clinical trials per year, was facing issues with enrolling patients rapidly in a tight time frame; traditional enrollment campaigns were slow and time consuming. JCCT used to send e-mail blasts to recruit and enroll patients, however, patient response rates started declining in recent clinical trials. The team at JCCT wanted to be proactive and find another way to better engage patients. Recent studies suggest that 90% of emails are spam , and only 22% of emails are read . Alternatively, 98% of text messages are read , and 90% of text messages are read within the first 3 minutes of receipt . 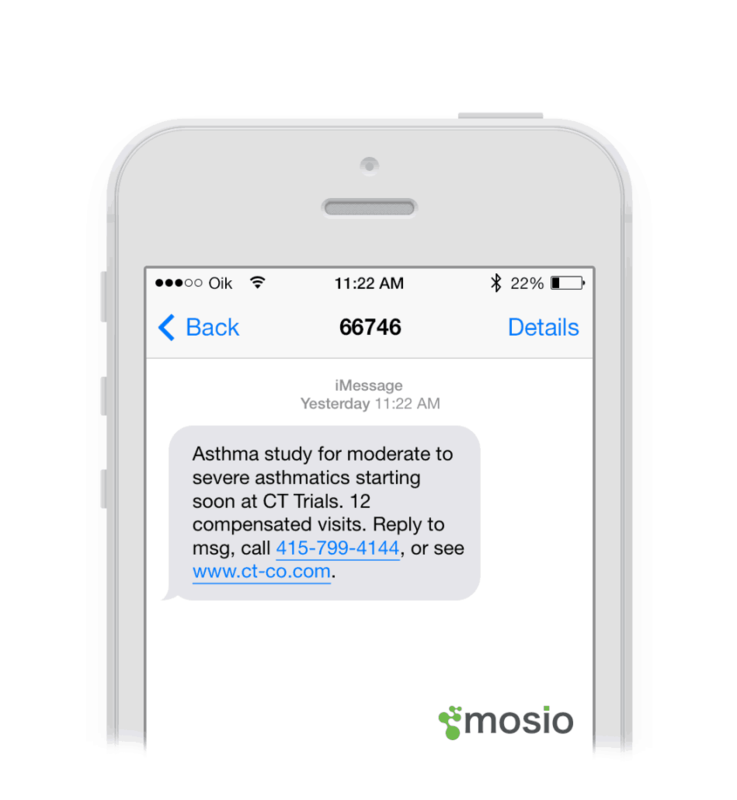 Mazen Zari, JCCT’s Co Founder, acting VP and Director of Operations in collaboration with other team members decided to try text messaging and contacted Mosio to design and implement a text messaging campaign to recruit and enroll patients in a vaccine clinical trial. Zari was blown away by the results. During the first eight weeks operation, Zari sent 1,541 text messages, screened 795 patients and enrolled 265 patients. 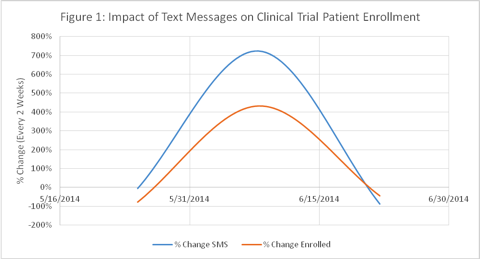 Upon further analysis, Figure 1 confirms that the increase in text messages also increased enrollment rates, and Figure 2 verifies that there was a statistically significant relationship between text messaging and patients enrolled. 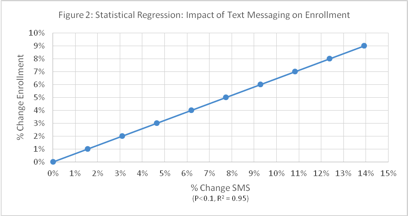 Figure 2 suggests that every 1.5% increase in text messages sent resulted in a 1% increase in subjects enrolled. For example, when Zari sent 1,000 text messages, and enrolled 172 patients, sending an additional 15 text messages (1.5%) resulted in approximately two additional patients (1%) enrolled. These outstanding enrollment results exceeded the sponsor’s expectations for JCCT’s enrollment potential, as the sponsor requested JCCT to halt enrollment three times during the eight week timeframe. The sponsor allowed JCCT to continue enrollment for an additional three weeks, and JCCT enrolled a total of 338 patients. “We had an amazing response! The minute we sent the text, we would immediately get a lot of calls. It was not double, not, triple, but five times the response, even with less people contacted (compared to e-mail),” said Zari. “We were initially concerned that patients weren’t going to find text messaging useful, but on the contrary, patients really liked it!” added Zari. This case study indicates that text messaging has demonstrated to be an effective tool that can be used to engage patients for clinical trial recruitment and enrollment.